Sutherland Library is pleased to have an exhibition of some of the works of two artists who attend classes at Hazelhurst Regional Gallery and Art Centre. Albert Franks discovered his passion for art after immigrating to Australia in 1970. Albert is a retired electrical engineer but his love of art was fostered in his youth by his father who was an amateur painter and Albert's first art tutor. Albert has completed art classes at Port Hacking High School, Julian Ashton School of Art and Hazelhurst Gallery. Albert still enjoys attending art classes at Hazelhurst with talented like minded people from all walks of life. The painting on the right called 'Night Watchman' is not currently on display due to space constraints but will be swapped in April with another of Albert's works on display. In the meantime come and see a selection of this talented artist's works. Gerald Hawkins achieved a General Certificate of Art in the UK in 1961. During the winding down of his career as a Building Economist in 2009, Gerald attended art courses at Bankstown Community Centre and Hazelhurst Gallery. 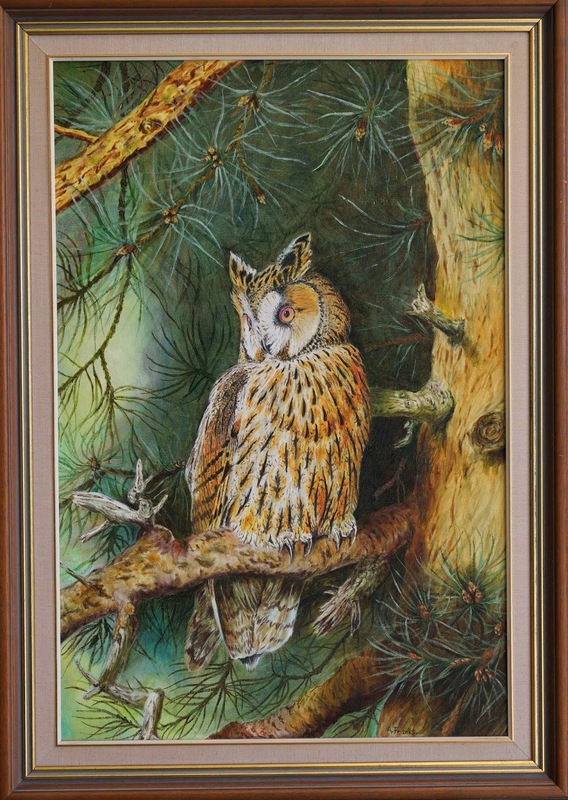 Gerald works mainly in oils but occasionally uses water colours and pastels. 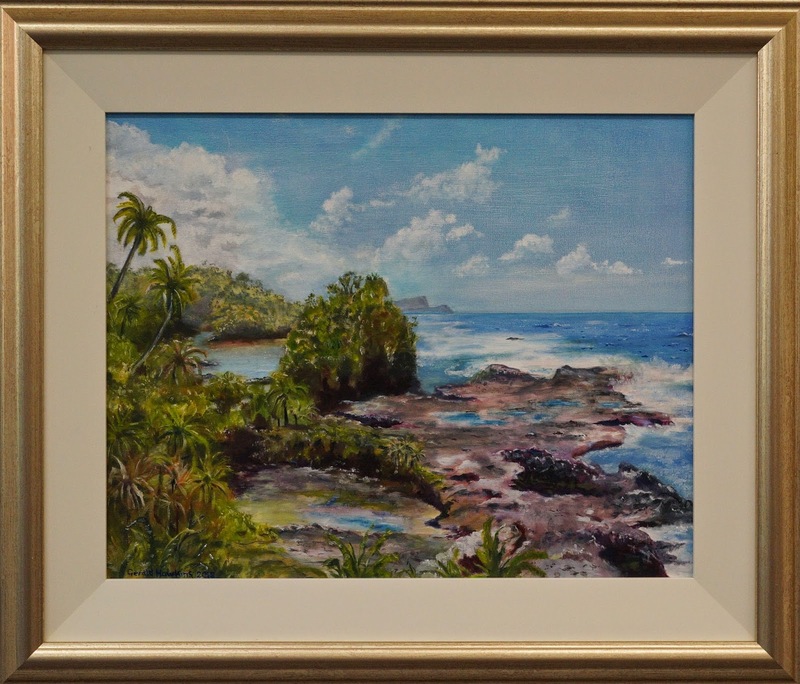 His paintings can be found in private collections in the UK, Belgium, Samoa and Australia. The painting on the right is called 'Samoan Coast, Post Tsunami'. This painting and other works by these two talented artists can be seen in the lounge area of Sutherland Library during March and April.